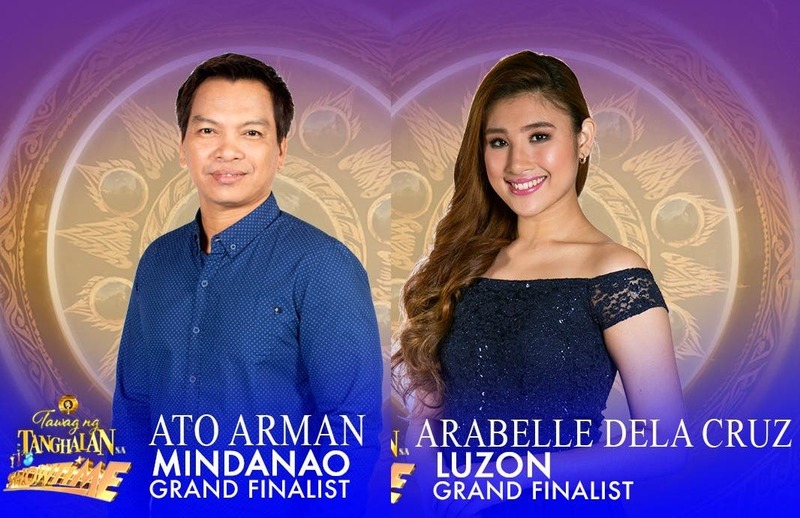 Ato Arman of Bukidnon and Arabelle Dela Cruz of Calamba, Laguna are moving on to the grand finals of “Tawag ng Tanghalan” on “It’s Showtime” after coming out the strongest in the competition’s thrilling “ultimate resbak” round. 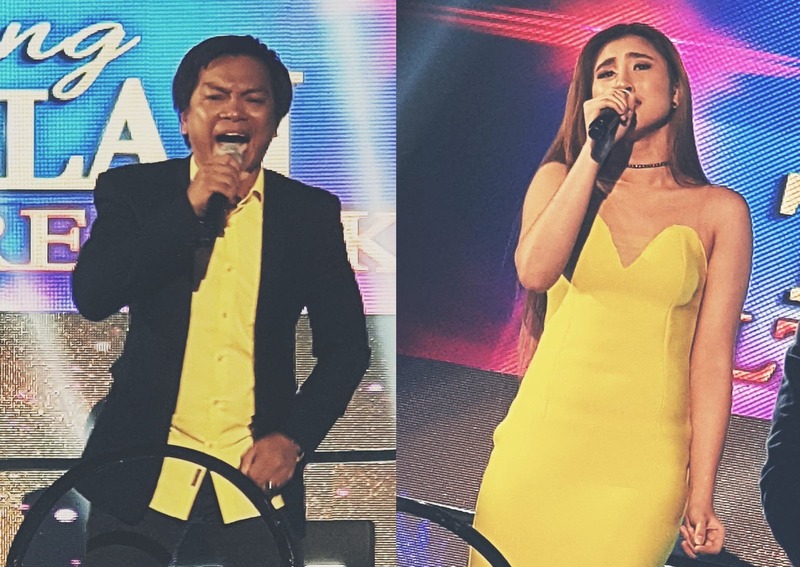 The singers beat 14 other “ultimate resbakers” or former semifinalists and made it to the end of the “resbakan,” where Ato recorded an astounding 100% combined score from the judges’ scores and madlang peoples votes, while Arabelle got 78.04%. They both won P150,000 each. Their battle for vocal supremacy officially begins on Monday (May 28) as the “Tawag ng Tanghalan” grand finals kicks off. They will face off with the best singers from the country, including Jovany Satera of North Cotabato and Alfred Relatado of Davao Occidental (Quarter 1), Anton Antenorcruz of Parañaque and Remy Luntayao of Negros Occidental (Quarter 2), and Tuko Delos Reyes of Aurora and Sofronio Vasquez of Misamis Occidental (Quarter 3). Also fighting to win the golden microphone in the week-long grand finals are Steven Paysu of California, USA and Makoto Inoue of Japan, and Janine Berdin of Cebu and Reggie Tortugo of Ormoc, Leyte (Quarter 4). Don’t miss a whole week of astounding performances and tune in to see who will become the newest “Tawag ng Tanghalan” grand champion next Saturday (June 2). Meanwhile, netizens may watch the grand finals live on Showtime.abs-cbn.com/Livestream.